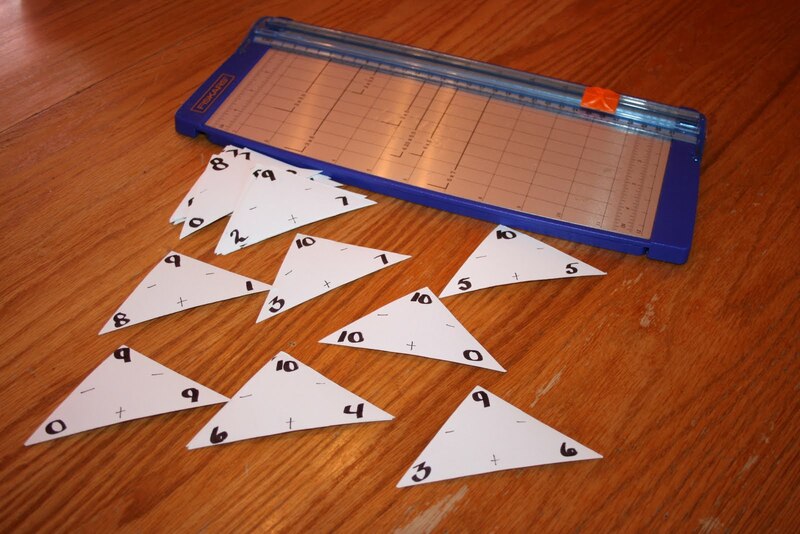 At the beginning of the year, I wanted to make triangle flashcards for Rebekah. I just used index cards, my paper cutter and a Sharpie. Introducing math facts in this form shows the relationship between the numbers. 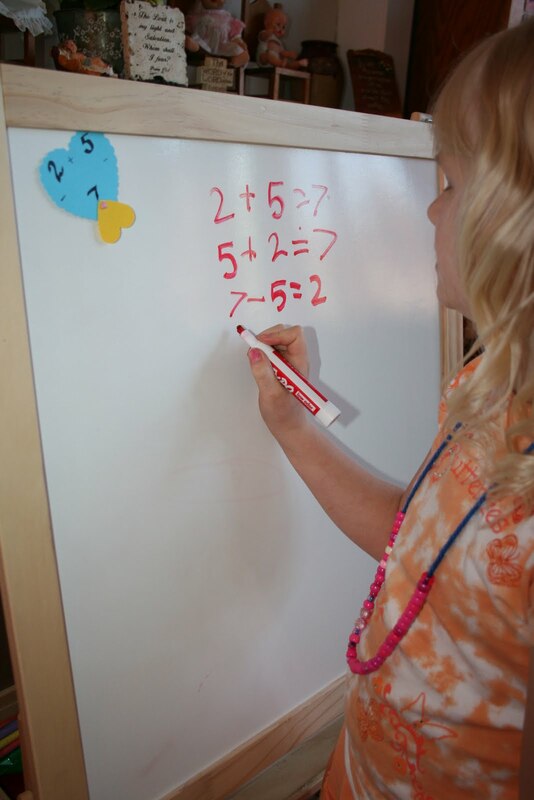 You can make two addition facts and two subtraction facts. Remember a+b=b+a from 9th grade Algebra class? If they remember the term, you’re eight years ahead. If they don’t, no biggie. They can say the facts out loud, or write them down. 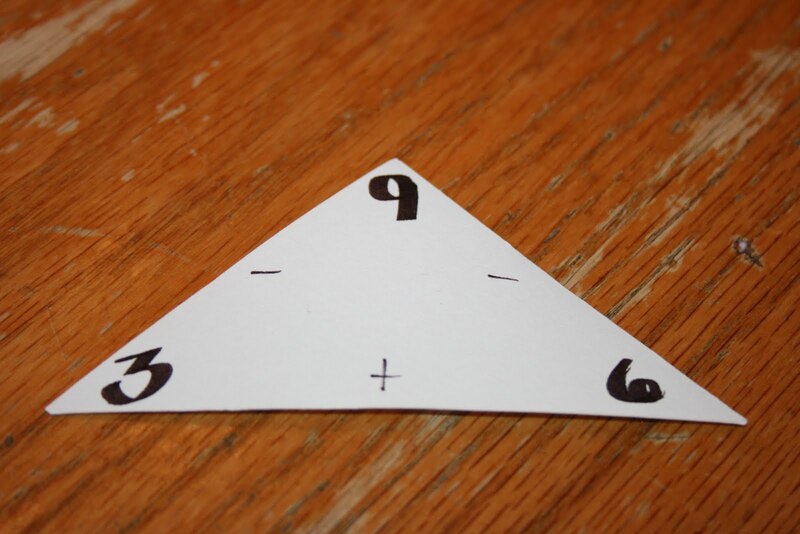 You can hold the cards up, covering one corner and ask them to fill in the missing number. Then, the inspiration bug bit me. I think children learn better when color and touching are involved. I like to cut and paste. That was my major, didja’ know? 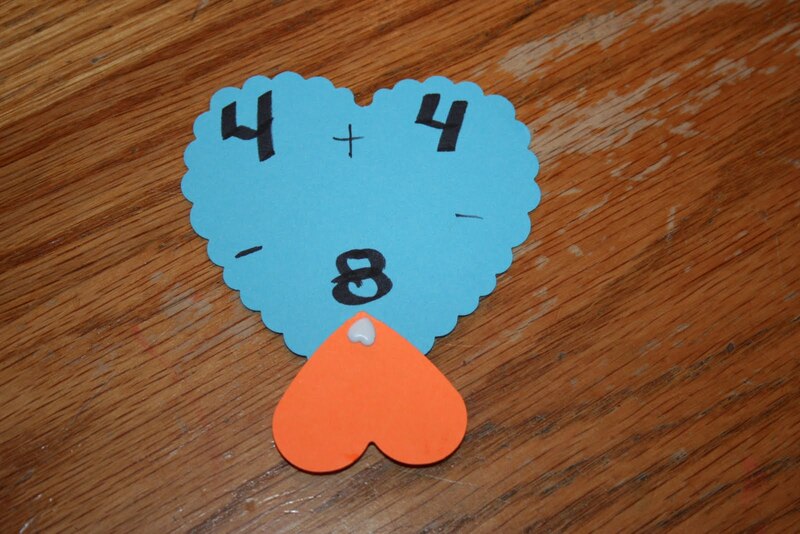 The larger heart is aobut 1 3/4 inches across. The smaller one is 1 inch across. I poked a hole through the hearts, pushed in a heart brad. Used my sharpie to fill in the numbers. You don’t see the answer…. I have had to give up my perfectionist ways for reality. If I am a perfectionist, they won’t get done. Then we can’t use them. Then Beka ain’t gunna get smarter. Beka at the IKEA easle writing four math facts for the flashcard. 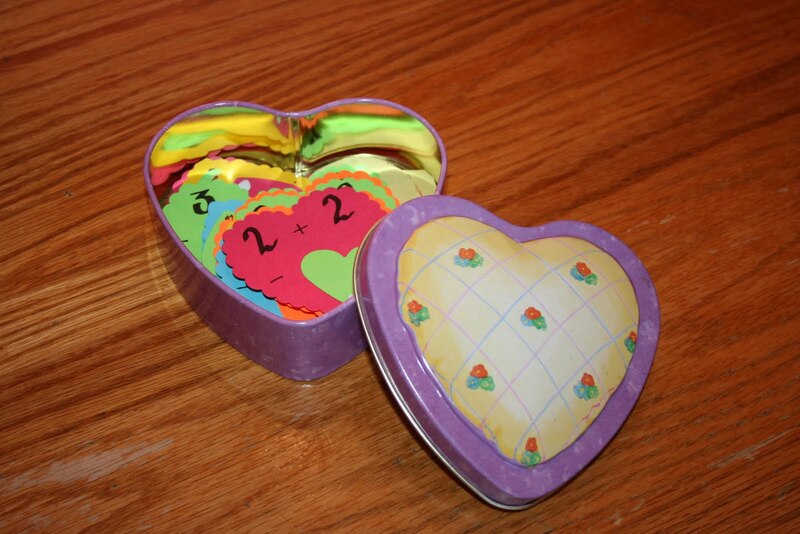 I found an adorable heart tin at the thrift store for $.99. but I am always real and honest. and I had a blast making them. because she doesn’t love math. But, I’m doing what I can to make the journey more pleasant. she may learn to love math. It’s a goal I am shooting for. cut and paste those facts into her brain. 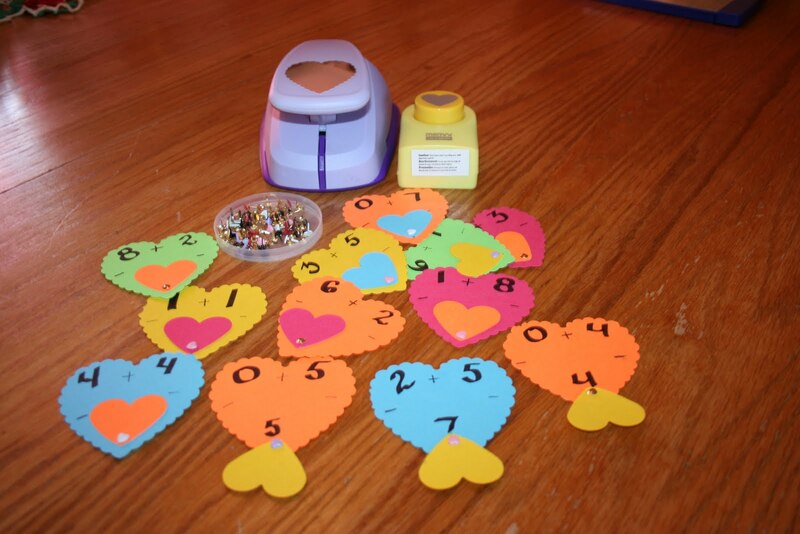 For other skills you can teach with the hearts? 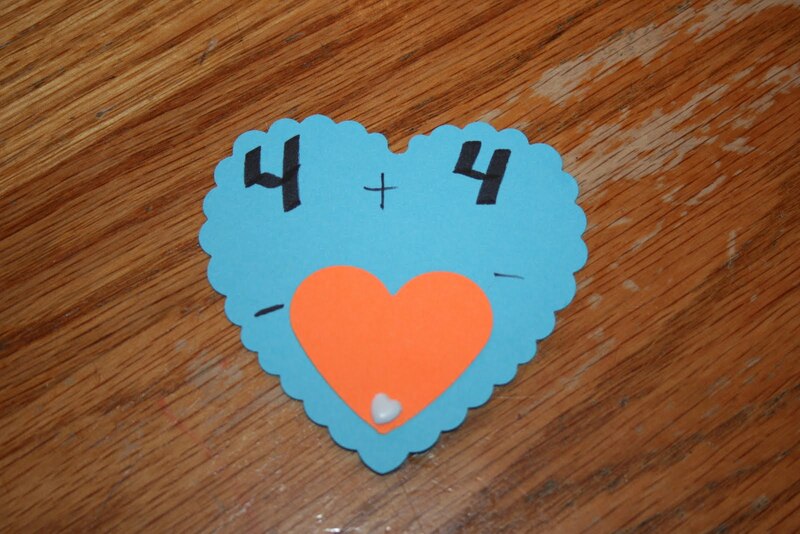 This entry was posted in heart flashcards, mastering basic math skills, math manipulatives, teaching addition, triangle flashcards on February 9, 2010 by Mindy. 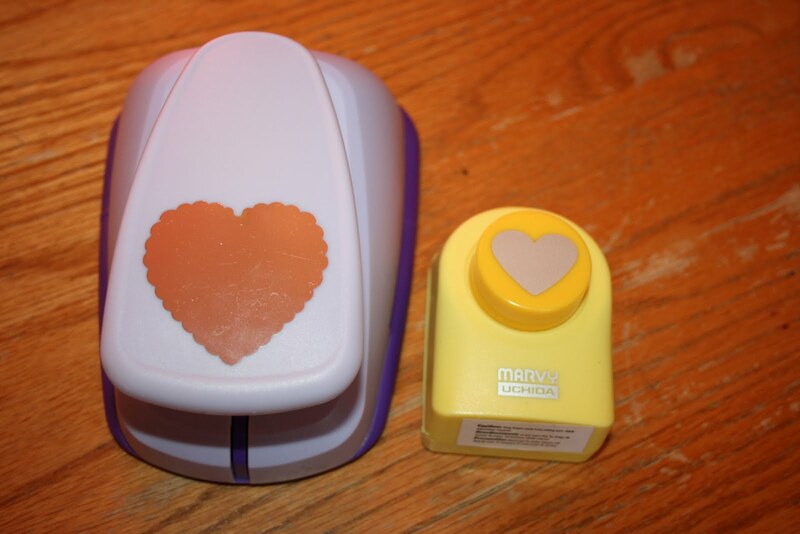 I love the hearts! Great idea. I like your blog too! There is Something for you on my blog.. enjoy.. Very cute, fun and creative!